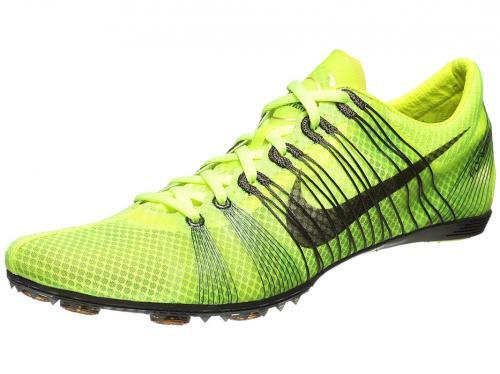 Take control of the race and gap the pack in the Nike Zoom Victory Elite spike. This shoe was created with one goal in mind; to dominate track races from 800m to 5000m. A responsive ultra light carbon fiber outsole coupled with dynamic flywire will have you powering through the corners and kicking down the home stretch. Includes twelve 1/4” pyramid spikes and a spike wrench. Really good and lightweight. They are super quick.